Do you know the secret wonders of hydrogen peroxide? I have been using it for a couple of years now and have been discovering more and more amazing ways to use this natural cleansing ingredient. I’ll give you a little scientific background on it first, but don’t forget to look at the bottom for where to find it! Hyrdrogen peroxide is naturally found in rain water and is purely water and oxygen. It is a high oxidant which is how bacteria is killed through oxidation which basically means it has a controlled burning process for killing microorganisms. It is considered the worlds safest natural sanitizer and our body produces it to fight infection. But the best part is that when it reacts with organic material it breaks down into oxygen and water. Now here’s the fun part, the amazing ways you can use it! 1. Clothes whitener – To brighten up your whites simply add around 100ml to your normal laundry detergent. 2. Stain Remover – this is a great alternative to bleach and will go after your stains without fading any colour. To treat stains mix in a spray bottle of 2 part hydrogen peroxide to 1 parts fairy liquid. It’s also amazing at removing tough stains like blood or wine. Pour it neat onto the stain and watch it work! Wash it off with cold water and repeat if necessary. 3. Pots & Pans cleaner – You know when your pots and pans get that lovely layer of burned on gunk that you just have to let soak for days before yo can muster up the energy to scrub them till your fingernails come off. Well here is your solution: Sprinkle the area with bicarbonate of soda and then spray or pour on hydrogen peroxide. It will fizz up as they react together and get to work at lifting off the dirt. Let sit for 20 min or longer and then simply wipe off and wash clean. Tip – you can clean your entire oven with this same method. 4. Natural disinfecting spray – As a natural antibacterial that evaporates into pure oxygen this is a fantastic all purpose cleaner, especially when you have kids in the house. Mix 1 part hydrogen peroxide to 1 parts water and spray away all germs from any surface leaving a lovely fresh scent. This is especially great if you don’t have time to scrub as you can simply spray and leave it do dry. Tip – try it on your door handles! 5. Fruit & vegetable pesticide cleaner – put all your fruit and veg in bowl or tub and pour 1/4 cup or hydrogen peroxide and/or 1/4 cup of vinegar in and fill the rest with water and watch the water turn a slightly grey colour, leave for 20 minutes. It will lift off all chemical residue on your fruit and veg. Tip – depending on size of container you’re filling you may need more of each. Or you can pour some neat onto a kitchen towel and simply wipe your fruit and veg when needed. 6. Window/glass cleaner – You can spray neat or dilute in a spray bottle of 1 part hydrogen peroxide to 1 part water and watch your mirrors and windows gleam with no streaking whatsoever! It also works great on stainless steel. 7. Bathroom cleaner – You need hydrogen peroxide and vinegar for this serious type of disinfecting, but DO NOT mix the two together in a bottle. Put each ingredient into two separate spray bottles and spray one on top of the other for the safest and effective way to kill bacteria. It’s even more effective at killing pathogens (and safer) than bleach!! This is particularly good at cleaning toilets as you need to actually kill bacteria and germs but who wants a sticky toilet seat with all that other stuff they throw in regular toilet cleaners?? This is another great place to spray and leave – no wiping needed. You can also pour it in and around your toilet bowl to disinfect. 8. Mould killer – this is such a discovery as every house in England is plagued with mould. Pour/spray neat onto any mould spots and let it work. You may need to repeat this for a while depending on how deep the mould goes. For grout make sure the area is dry before you spray hydrogen peroxide and vinegar to double up on the mould fighting. 9. Mouthwash – if you read the label on the back mouthwash/rinse is one of its very clever uses. It will kill bacteria and help keep all this nasty gum issues at bay, but don’t over do it, once a week is all you need. Make sure you do not swallow and rinse your mouth with water afterwards. 10. Teeth Whitener – this is basically a perk to using it as a mouthwash. You’ll find hydrogen peroxide in all your whitening toothpastes. 11. Toothbrush disinfectant – our kids toothbrushes get particularly germy with all that extra toothpaste layered on that never quite gets rinsed off properly. Simply put all your toothbrushes in a glass with the heads down and pour in the hydrogen peroxide to cover the whole toothbrush head and watch all the germs and limescale fizz away. Leave for 10 minutes then rinse with water and done. This will make all your toothbrushes last longer. 12. Hair lightener – as it’s hydrogen peroxide that we use to ‘bleach’ our hair you can lighten up your hair colour or get those summer highlights naturally with hydrogen peroxide. Spray on 1 part hydrogen peroxide to 1 part water to your wet hair and comb it through. This will have a gradual lightening effect so will look really natural, not like that burnt blonde you get from the dye packages. 13. Clean cuts and wounds – this is on the bottle. Put a little on a clean cloth/cotton wool and gently wipe any cut or wound to clean and prevent infection. It’s even been used to cure gangrene! Now it gets even better as one 200ml bottle only costs £1 at the grocery store!! I normally pick mine up at the pharmacy counter in Sainsbury’s or Tesco, but the downside is they only sell you one bottle at a time. So here’s where you can order a 1litre bottle online. Note – only use between 3-6% grade hydrogen peroxide. This will be labelled clearly on the bottle. Also keep in a dark bottle and away from sunlight as it oxidises (becomes useless) when exposed too much to sunlight. 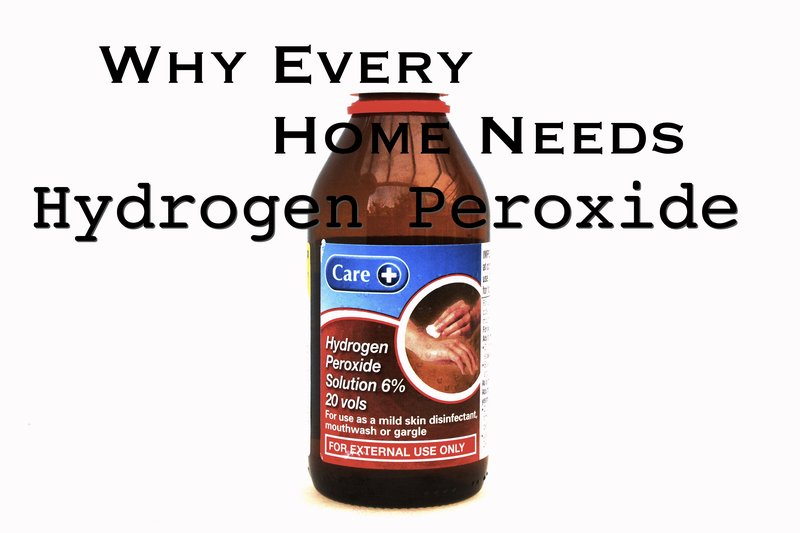 Have you discovered any other great ways to use hydrogen peroxide?? Share in the comments. UPDATE: I got the ingredient proportions backwards for the stain remover. Please note it has now been updated to 2 parts hydrogen peroxide to 1 part fairy liquid. Before I hit the road for a run I always plan my route. I know exactly where I’m going, how far I’m running and that I will always end up back home. I also love to have this type of plan for my life. I just can’t help myself! I’m very task and goal oriented and am constantly working a plan to reach my goal. I’m a dreamer, a visionary and I love seeing where God wants to take me. God has a plan for each and everyone of us (Jeremiah 29:11) and he has already prepared good works for us to do (Ephesians 2:10). I love seeking out those plans and praying into where God wants to take me and what good work He wants me to do, today, next year and 20 years from now. But sometimes I get ahead of myself. I’m just so desperate to reach the end that, like a runner waiting for the gun to shoot, I can false start the race. Now in a professional race if you have two false starts you are disqualified from the race altogether. 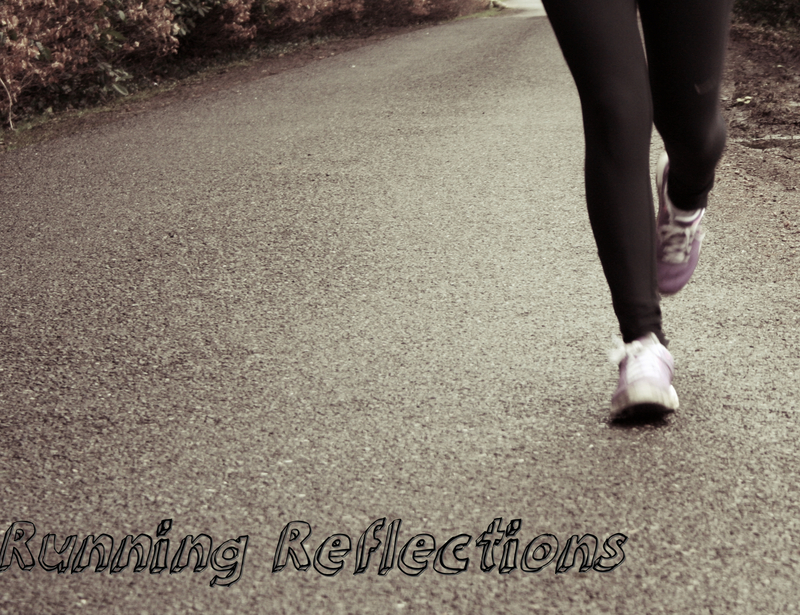 Being over eager is just as harmful as never getting off the couch to train for the race. But praise God, because of Jesus we now have unending grace that allows us endless do-overs in life. We need to have the self-control and submission to wait until it is the right time to go. This is something I am challenged with a lot. I have a 1, 5 and 10 year plan but I’m always wanting to be at the end of my 10 year plan without working through the first year. This will get us nowhere. If we jump the gun we don’t get to run the race. Instead we have to turn around and go back to the starting line. God’s plan is worth training and waiting for. And remember, we all need to grow to where we need to go. This year will be a year of dramatic changes as we step into unchartered territory of not having a plan – so far. Over Christmas we have learned that there will be housing changes and possible location changes for most of my extended family. My brother and his family of four will be moving into the main house with us for a period of about 6 months. Then after the 6 months we have absolutely no idea to what degree we will all be effected. Whether we’ll all be moving out and to different parts of the country or trying to stay together somehow. Changes and moves like this are common place for us Chesney’s, but now that I have a family of my own it changes the degree of effect it has on my life. But when I don’t know what to think, I think about what I do know. 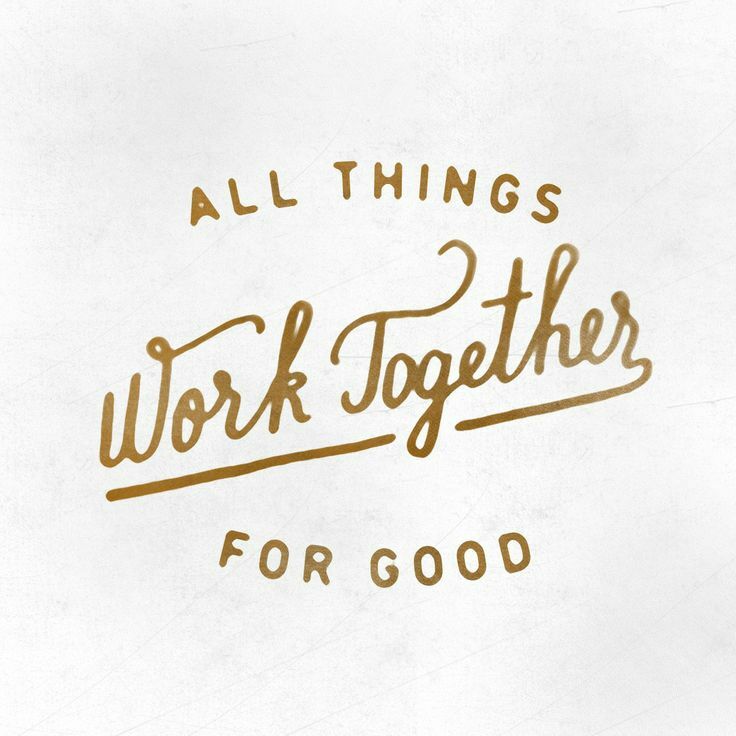 That my God works all things together for my good (Romans 8:28). I serve a loving and faithful God who has the best plan for my life. And if my God works all things together for my good then that’s what he’s doing right now. Now that we’ve sown so much into early family life what does God want us to sow into next? We’re praying to discover what God has for us next. I’m a serious project and goal oriented person. Without some sort of finish line to run towards I feel completely lost and forget what I’m running for! Do you ever feel like that? That you can’t remember why you started in the first place or where you’re going? Or perhaps you’ve crossed a 5k marker and you’re looking for the next. That’s what we’re praying into. One of my favourite scriptures is Philipians 3:13-15 “…But one thing I do: Forgetting what is behind and straining toward what is ahead, I press on toward the goal to win the prize for which God has called me heavenward in Christ Jesus.” Not only do I love running for my health (and sanity), I love running for Jesus. He’s the only one worth running for and I don’t want to be running with no purpose and direction (I Corinthians 9:24-26). So here we go into 2014, preparing for our next race. These words from the song below have been inspiring me and stirring up my faith for what God has in store for 2014. Take a listen.